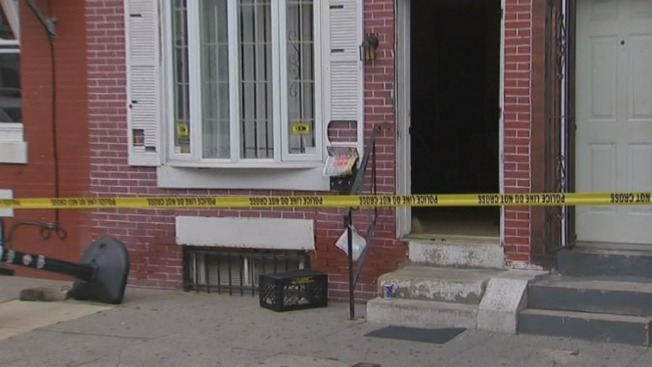 A man was shot and killed during a home invasion in the Feltonville section of the city. Police say the 25-year-old man was sitting on the front steps of a home with three of his friends on the 400 block of W. Caskey Street at 4:47 p.m. on Tuesday. Suddenly, police say, three men, one armed with a gun, walked up the street and chased the man into the house. One of the suspects then allegedly opened fire, striking the victim in the living room. Police say the suspects then stole cellphones and cash from the victim's three friends. The 25-year-old man, who was shot in the side, was taken to the hospital where he was pronounced dead at 5:07 p.m. The victim’s three friends as well as two other witnesses were questioned by police. The three robbers remain on the loose.